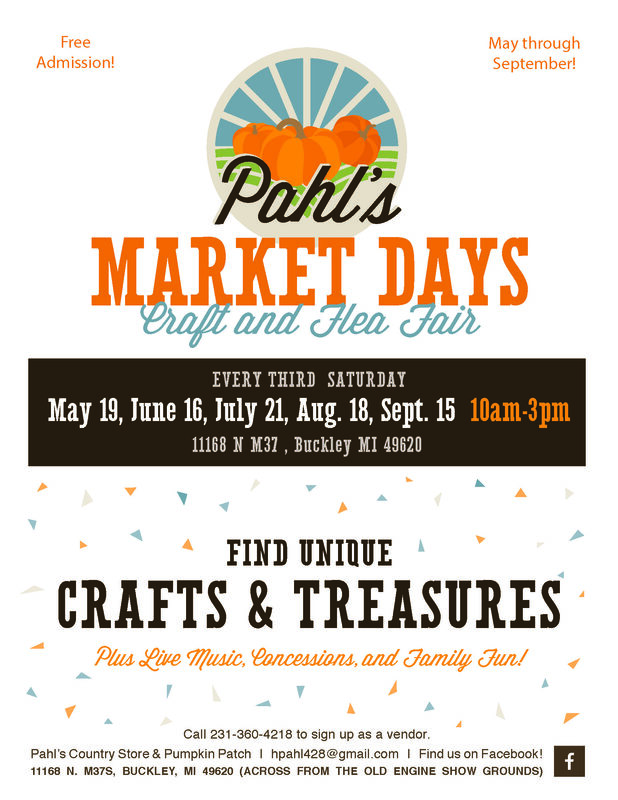 Market Days at Pahl's Country Store are family-friendly and provide the perfect opportunity to shop local from Northern Michigan makers. Shop unique gifts at our Craft & Flea Market Days. As small business owners ourselves, we love to see others pursue their passions! Market Days give local artisans the opportunity to share their products with the community. Market Days are family-friendly and provide the perfect opportunity to shop local. Northern Michigan makers bring everything from jams and cheeses to handmade jewelry and antique furniture. There really is something for everyone! Join us on the third Saturday of each month May through September. Free admission! Are you a maker or vendor interested in participating in Market Days? Fill out the form below for more information.